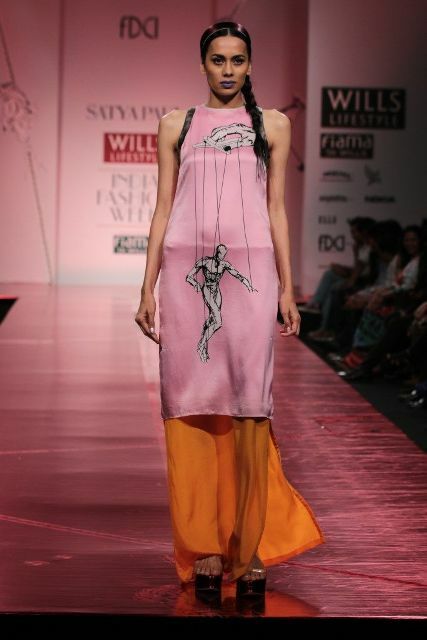 The latest Satya Paul collection designed by Masaba Gupta was a lighthearted take on print and was entitled ‘Icarus’. The show notes say that ‘Icarus’ is an effort to revel in the cheerful, suggest the alternative and slightly alter the envelope. 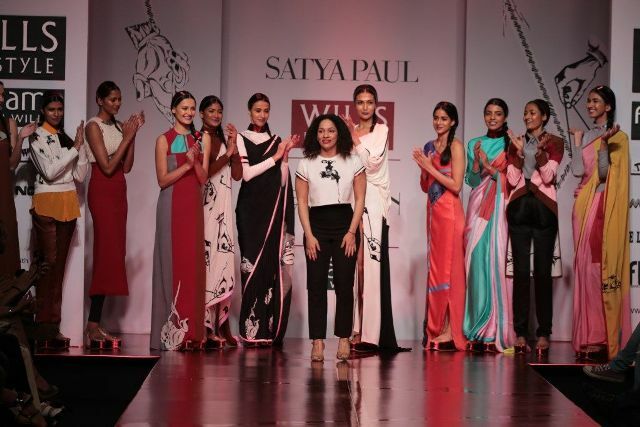 When I googled it I found reference to Greek mythology so let’s stick with the Satya Paul meaning. 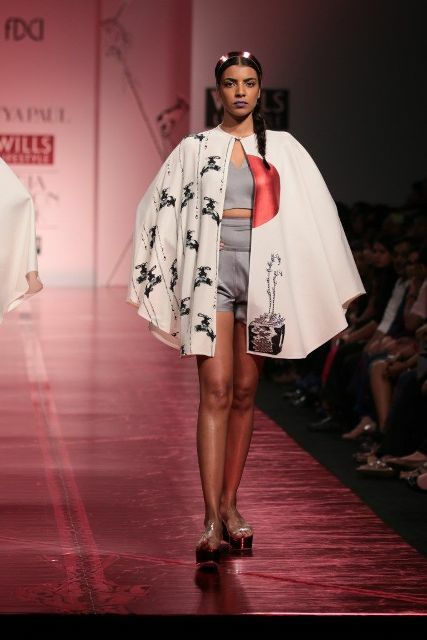 Masaba is experimental and contemporary with her perspective on print and she is widely copied in the Indian export market. 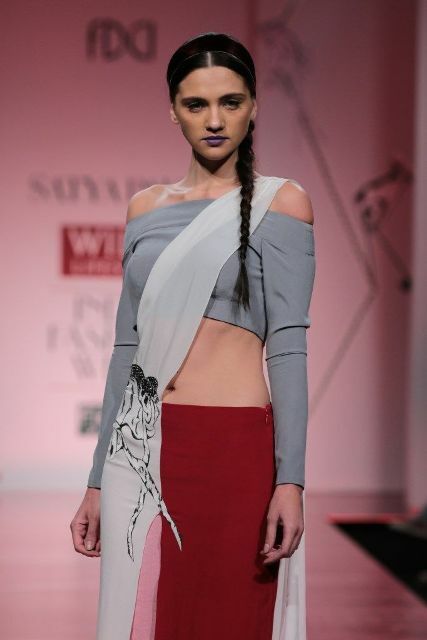 Her lipstick print last season and the water tap this season are fun and a welcome departure from flora and fauna inspired prints. 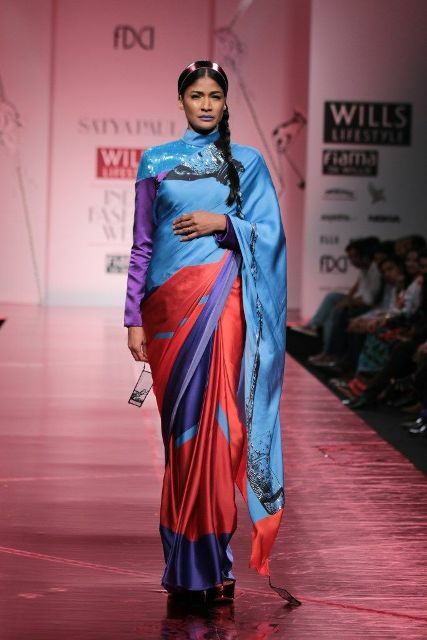 The Satya Paul brand is famous for sarees and they were present in the collection with cool roll neck blouses. 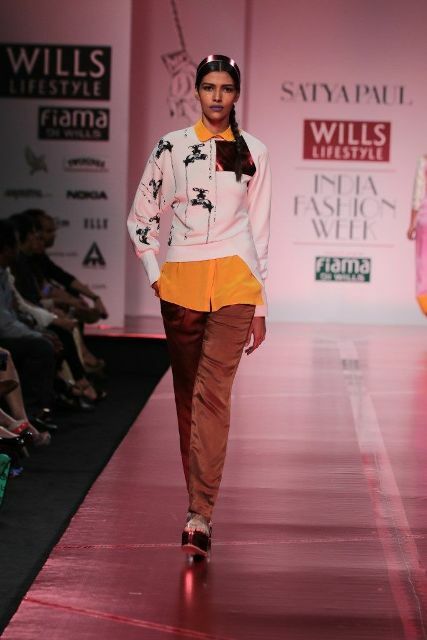 Separates included capes, sport wear, shirts and shift dresses. What was also refreshing was the lack of matching components. I’m not sure the colour combinations are all to my taste, however, they have a nice retro look.